Don’t forget: Student pictures are this week! Monday (10/16) for pre-K and special ed, Tuesday (10/17) for the rest of K–5. If you haven’t received a picture packet, you should receive it Monday, or you can get one from the office. As always, you can follow PTA news on Facebook and at www.lowellelementary.org—and if you ever have school-related news or events to share, email lowellparents@gmail.com. Do you love to bake pies? 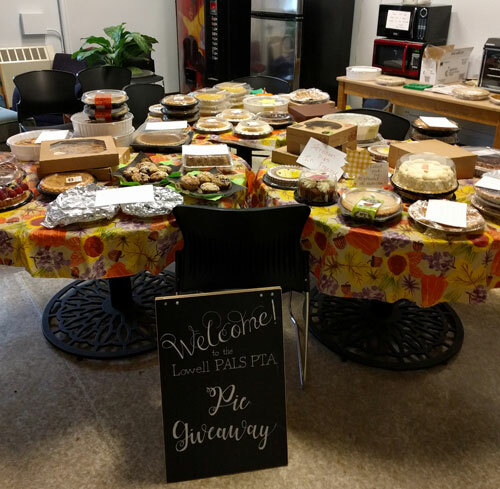 On Friday, November 17, we’ll be having our 4th Annual Pie Giveaway, sending pies home with every staff member at Lowell before the Thanksgiving holiday. If you’d like to participate or have any questions, please email Andrea at millergirl0330@gmail.com or Jen at jenwhitfordanderson@gmail.com. Thank you, Andrea and Jen, for coordinating this great event! “Cookies with Colleen” this Thursday! Colleen Stump is our amazing principal and we are so thankful for everything that she and her staff do for our kids. But did you know that she also loves to bake? 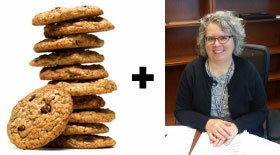 This Thursday, October 19, from 8 to 8:25 am, please join her for “Cookies with Colleen,” a chance to grab a yummy treat and hear all about what’s happening at Lowell. If you have specific questions or need to talk one-on-one with Dr. Stump, she also has office hours every Monday from 2 to 3pm. You do not need an appointment, you can just come to the office during that time. One of the amazing ongoing programs at Lowell is our in-school Food Pantry, operated in partnership with the University District Food Bank. Each Friday, volunteers meet in the Lowell cafeteria after the start of school and help distribute weekend-meal bags for Lowell kids. The bags are delivered to each child’s classroom, so they can easily take them home at the end of the day. Over 60% of our students receive free or reduced cost lunch, and approximately a third of our students are housing insecure (living in shelters or other temporary housing), so this program is very important to our school. 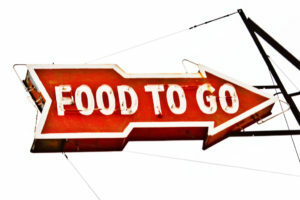 If you would like your child to receive a weekend-meal bag, or know a family who might be interested, please connect with Tammy or Maria in the office. If you would like to volunteer, email lowellparents@gmail.com. 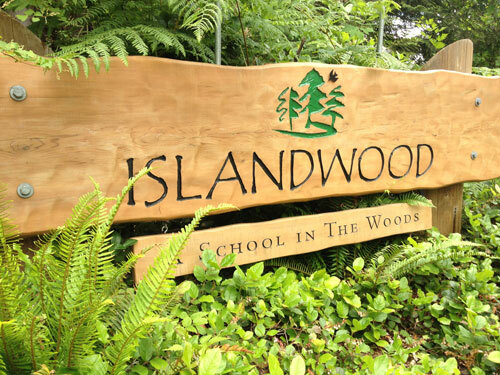 Islandwood is an overnight camping and outdoor learning experience that all our 5th graders go to every year. 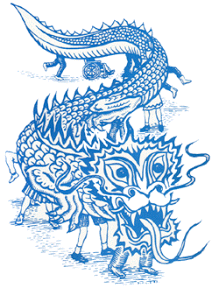 This year’s trip is coming up fast: November 13–17! This Thursday, October 19th, parents of 5th grade students are invited to join the 5th grade teachers in Room 105 at 5:30pm for a quick information meeting. If you’re unable to attend and have questions, email Laura Schulz at lmschulz@seattleschools.org. If you’re not familiar with Islandwood, check out this cool video from 2015. Next ›Want to help spread the word about Lowell?